Health Event with music, yoga, mindfulness and beauty! At the end of last year we came up with an exciting idea to host our own first event after a few successful co hosted events last year in fashion, art and xmas. Music is our passion, but what if we could combine it with mindfulness, health and beauty? A theme that is crucial in our daily lives. To balance our regular full time jobs with music on Fridays, weekends and evenings, we want to stay healthy and are always looking for ways to feel better. We had the opportunity to work together with some dear friends that we have known for shorter or longer periods who are very professional in their fields and after a few months of planning it was finally time to make this possible! WOW! We MADE it to top TOP 20 as finalists in the AfriMusic Song Contest with the artist Linda Kilian from South Africa and our song I will never fight again! Thank you so much for your votes, friends! Contestants from 16 African Countries where fighting for a place between 11 to 25 March. Now we need your help to keep voting in the next round to take the winning place! Voting opens today 29th March 2019 and will close on the 12th April 2019. Just click the thumbs up and you can do this 200 times per day! You need to register your email address to get a verification link. When you voted 200 times you get the message "you're out of votes, try again tomorrow"
Results of the public vote will be updated weekly on the Afrimusic Song Contest website. The winner will get to perform the song live in Tel Aviv in Eurovision Song Contest!! This would be a dream come true for us, so are you with us?? Tomorrow is the Mello final for 2019, who do you think will take the winning place? 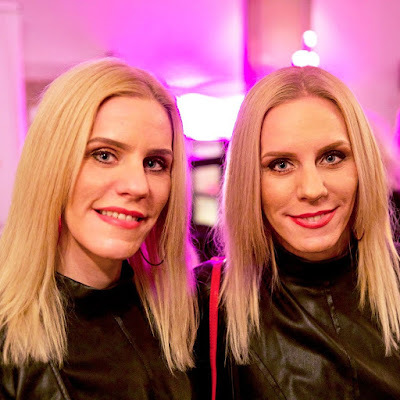 Tonight is the MELFEST WKND STHLM 2019 PRE PARTY at the club Estelle and we had the pleasure of joining the press conference meet and greet with the artists and also get an interview about our own journey. 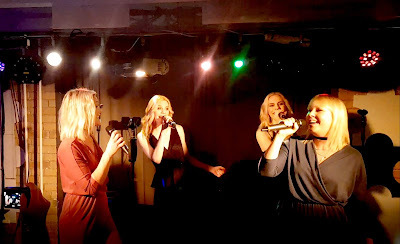 Melodifestivalklubben www.melodifestivalklubben.se (where we have been members since 15 years back!!) 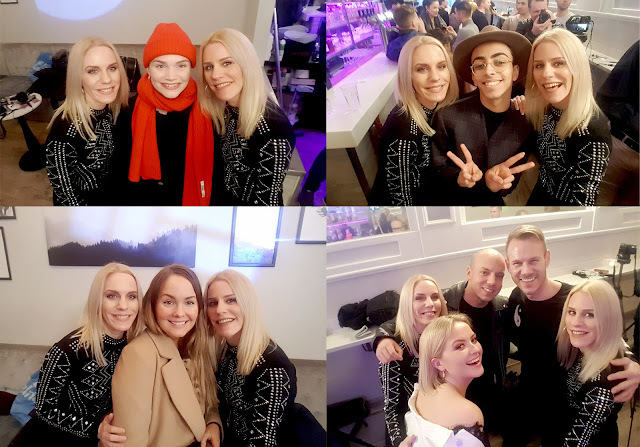 together with Peter and Erik hosted the party and we got to meet up with winners from 2019 from Norway, France, Denmark and also national selection artists from Finland and Lithuania and had a great time. All the artists are doing performances with their Eurovision songs on the pre party so the fans will have a chance to meet up with their stars. The weather outside in Sweden is pretty aweful this time of year, both cold, rainy and icy streets, so it was wonderful to arrive to the warm and welcoming event arranged by Erwik communciation at the cool place Venue81 in the centre of Stockholm to enjoy sparkling wine, delicious food and snacks, networking and listening to good music by great artists as well as seeing a great fashion show and awards. A generous goodiebag with hair and beauty products was given when we went home. We went together with good friends and had a blast! on stage were Alexandra 'Kissie' Nilsson & Eva Nazemson. Products and sponsors from Kronans apotek, Foci, Make Up Store, Magic Steps etc.